​Fiona and Jack lead comfortable professional lives, he’s a lecturer and she’s a Justice in family court. Fiona’s personal life starts to unravel when Jack wants an open marriage to feel one last passion. Hurt and bewildered by this she refuses to entertain his notion and he leaves. In order to cope with the feelings of hurt and betrayal she throws herself into work, which all things considered is a long standing crutch for Fiona. When faced with a case of Adam, a boy of seventeen years and a Jehovah’s Witness, who is refusing a blood transfusion in the treatment of his leukaemia, Fiona unorthodoxly asks to see the boy and talk to him herself. Her resulting judgement has a profound effect on Adam and Fiona, throwing all she finds of importance into question. This is the only book I have read from this author and it wasn’t quite what I expected; I anticipated a legal thriller with some depth but I found the legalese in this book not particularly entertaining as one would expect for fiction but more cold and technical, like I was reading a case study. Fiona herself is portrayed as a cold and emotionally contained character but I felt she was written without depth that would have given us more understanding of her as a character. I was surprised by how incredibly short the book was and finished it with a sense that the book lacked something that is necessary to push it up into the hall of fame of great reads. Overall an adequate fiction read but misses the mark for me. I devoured it. I could see favorite actors in the film version. Excellent review–your point on why it wasn’t your favorite is a good one. I worked in law for years and that included some British law. I don’t often get to read about judges, so it was u usual from that point of view, but I have had this book on my wishlist for so long and heard so much praise I was expecting it to be an exemplary read. I haven’t read this one. He’s an interesting author for me since his books are so different from one another. I’ve loved some (Atonement) and disliked others (Saturday). Thanks for the review! Atonement is the one everyone praises and I haven’t read it, yet. I really am curious now to find out if I would love it or hate it. I’ve just finished Enduring Love by McEwan, and found that I didn’t enjoy it at all – it’s not a bad book, but it wasn’t to my taste. This one doesn’t really appeal either, based on what you’ve said… Maybe this author just isn’t for me. I’ve only read this one and I suppose I should give the acclaimed Atonement a read before I decide he’s not my cup of tea. I’m open to reading more of his work, although it won’t be a priority. I think reading some of the books I bought last year and my Christmas haul would be nice to get through first. I had liked Atonement so I asked the university library to get this book and completely forgot about it.. I will try and get it soon, but I’m sorry it did not work so well for you. 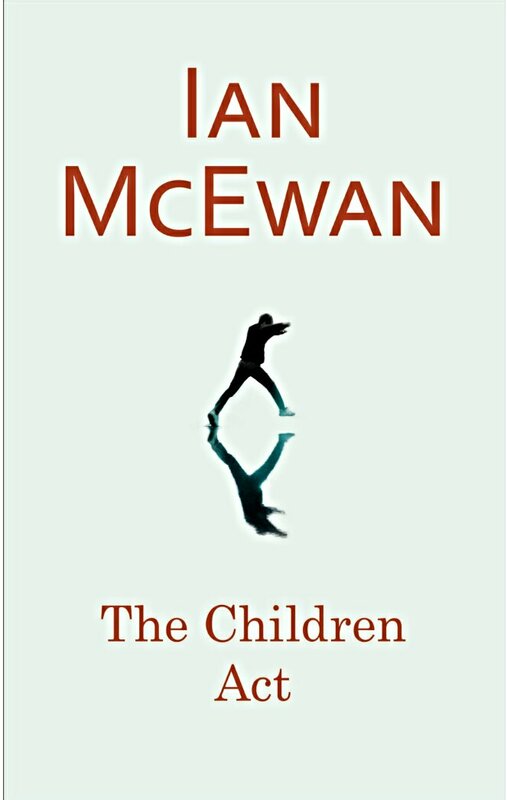 I heard it was always a case of hit or miss with McEwan’s books. Still hope to try Atonement at some point.